“I’m tired of the numbers. The numbers that comprise the stats and charts and graphs and figures that are used to explain to everyone that Chicago is Violent. The numbers that crush human souls into tools to be deployed by craven politicians. I’m tired of people I know becoming those numbers. I’m tired of That President using those numbers to further his agenda and nothing more. I’m tired of the numbers. I’m tired of the rain. When I came to Garfield Park in 2013 a bougie Naperville raised white boy to shoot my first music video I was welcomed as one of their own. I was greeted with smiles and laughter in a land I had only seen on the news before. For three years I traveled back to Garfield Park, and to Austin, North Lawndale, South Lawndale, and Humboldt Park. During those three years I saw a lot more smiles and laughter, along with the shaved ice man, the JJs, the Harolds, The Whale, the Fe Fe’s, the juke jams, the corner stores, the memorial banners hung on brick walls, the open fire hydrants where the kids played along with the mamas on front porches keeping a close eye, the candy stores in front lawns, the communal barbershops, the basketball courts, and the Father’s Day cookout. I met kids that accomplished more in closet recording studios than Juilliard graduates. I met people who could footwork with bewildering accuracy or bop with infectious rhythm. I saw other things too. I saw families of four living in studio apartments, I saw abandoned houses filled with smashed glass and torn up drywall, I saw rest in peace tee-shirts and bulletproof glass dividers in stores. I saw guns. I saw a lot of guns. I saw the rain. Seeing all of this changed me. It opened my heart and soul and flooded it with empathy. These neighborhoods weren’t bombed out war zones, they were places where people lived and created. I saw the crime and those who perpetrate it as people who have had their hand forced by miserable economic circumstance and a city so segregated it’s allowed not to care about it. I’ve seen all this and been left in agony. In the land of plenty why should anyone be forced to live like this? If seeing this changed me then maybe I can show others and change them. 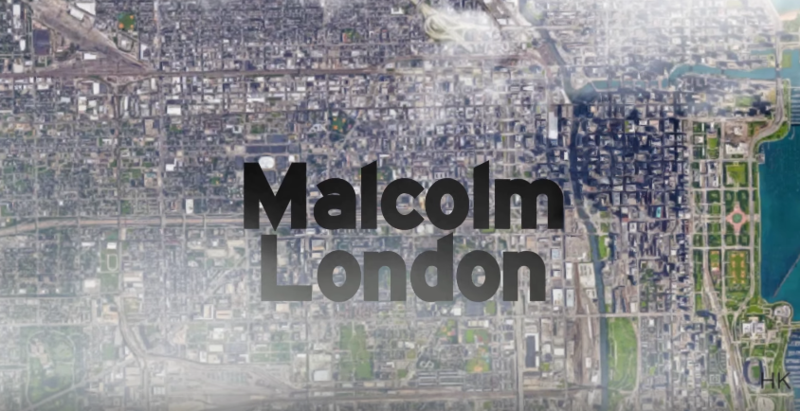 When I came to Malcolm London to present him my idea for “Westside in the Rain” I told him I wanted people to see the city as a place where human beings live. Not “gangbangers” or “crackheads” or whatever hideous word used to dehumanize these people but really real human beings. I wanted people to see smiles and dancing and celebration. I wanted to bring my Westside friends to the places that meant the most to them when they were growing up so that through their connection to that place maybe someone watching could feel connected too. I wanted to create a visual that mirrored the title of his album. Opia. I wanted people to feel the ambiguous intensity of looking the Westside in the eye. I wanted them to feel the rain.